So you won the lottery, collected an inheritance, or wrote your last college tuition check, and you want to use the windfall on travel. Around-the-world-in-a-private-jet trips offer ten to twelve dreamy destinations strung together like exotic beads on a latitudinal necklace. National Geographic has one; so do the Four Seasons and Abercrombie and Kent. But are these expeditions just pressurized cruise ships in the sky? And given their daunting price tag, do they provide real bang for your buck? Having just returned from one of these trips, twelve destinations on five continents in 24 days, I’m here to offer the lowdown. These trips range from 75K to up to 135K per person. The price difference reflects the level of luxury/exclusivity. Example: the National Geographic jet has seats that recline but don’t lie flat, so their airplane accommodates 70 guests, as opposed to Abercrombie & Kent’s flat-bed-seat jet, which only accommodates 50 slightly spendier guests. Either way, that’s a lot of coin. But it’s still probably less than if you tried to cobble a duplicate trip together by yourself. Around 26 days is a long vacation, especially if you have a real job. Not surprisingly, many of the folks on these trips are retired. Then again, if you attempted the same itinerary using commercial aviation, with layovers and canceled flights, not to mention being at the mercy of trains and buses and taxis and customs officers, you’d be out there for months. Face it, no matter how Queen-of-England you feel at first, you will be sitting in a chair for a meaningful portion of your holiday. The group I went with (NatGeo) offered a variety of lectures to inform and pass the time, but it was the iPad I loaded up pre-trip with couple good novels and the first two seasons of Orphan Black that helped the flight-time fly by. 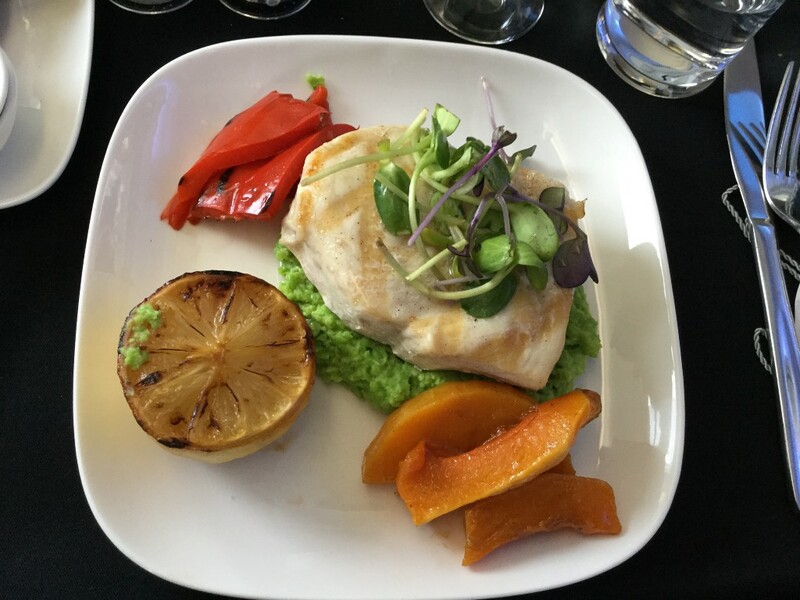 The food is good … for plane food. But despite the fact that the bosses dress the jet’s chef up in a white coat and toque, let’s get real. There isn’t room for an industrial kitchen on an airplane. I would also assume that grilling over open flame is considered a bad idea. Your meals will be prepared off site, in whatever city you are in, and delivered when you board. Upside: the menu will be created with fresh, local ingredients. Downside: in appealing to the palates of the many, the flavor profiles hover between bland and slightly less bland. Still, it is a vast improvement over commercial airline fare. Because of the size of your group, you can expect that at least one of your daily meals will be a fancy hotel buffet. Perhaps you love buffets, in which case, lucky you! I began to suffer chafing dish fatigue by day four. However, the local food you dine out on will be delicious, authentic, and most important, vetted by the staff (who also guarantee bottled water is everywhere). Although a few guests on my trip experienced bit of yippy tummy after leaving India, myself included, it was nothing a few Pepto Bismol tablets couldn’t quash. We all want an Anthony Bourdain-ish adventure, but food poisoning is a non-starter when you are traveling on an airplane with only four bathrooms. Most of my fellow passengers were generous, interesting people who were curious about the world. They were also mostly seniors, so, true bucket listers. I particularly enjoyed the company of the folks, mostly women, who were traveling solo. They tended to be outgoing, funny, and thoughtful. You won’t love everybody, unless you are the sort of person who always loves everybody. As for me, there was only one abrasive gentleman that, given the opportunity, I would’ve voted off the island. Never fear, you will not be forced to trudge lockstep behind a pack of geriatrics with busted hips. There are a variety of touring options offered in each destination. 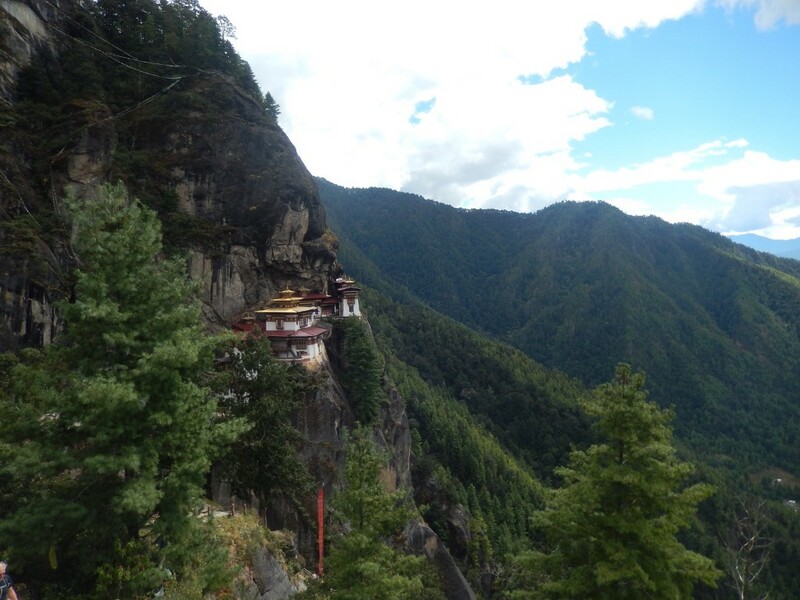 For example, in Bhutan, I hiked to the tiger’s nest, whereas some folks rode a burro, and still others enjoyed viewing it from afar with a cup of tea. You will be treated like a second grader. All of your customs documents will be filled out for you, and you will be directed exactly where to line up, and exit, and use the bathroom. The staff will hold your passport and boarding pass and whatever else you might misplace (and, in doing so, gum up the works). In the morning, you will put out your luggage only to have it magically appear inside your room in the next country. Segueing back into the real world where I need to keep track of my own car keys and remember where I parked was a trial. Yes! 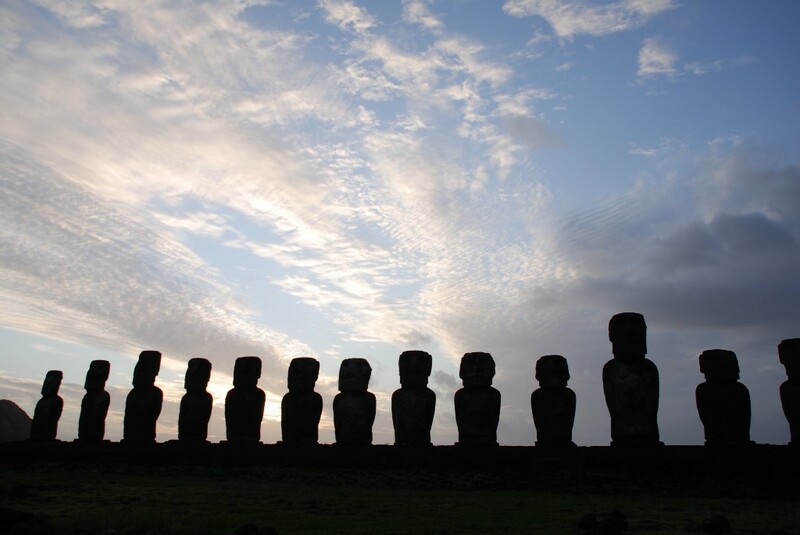 The promoters of these trips are smart in choosing destinations you’ve always wanted to see (Easter Island! Taj Mahal!) but maybe don’t want to spend two weeks in. My hours in these places were fascinating, and I didn’t feel cheated out of a bigger experience. Probably not. By the last stop, Marrakech, my spouse and I were bristling against the constraints of group travel. We skipped our final tour, and went rogue. (This was less adventurous than it sounds. We’d been to the city before and knew our way around, sort of). No one scolded us for taking off on our own. By that time, we were all a wee bit sick of each other. Still, the farewell party felt like the last day of summer camp, with hugs and tears and exchanges of emails. On the flight home, the couple seated behind us shared a brochure for a round-the-world-jet-tour that takes a northern route. And Antarctica is still on my bucket list.